Are the slides from #wcpdx on using WP & Git up somewhere? I missed that and would love to catch up. #wcpdx streams miss a little subtitle with “Speaker: subject”. Who’s on right now, on the tech talk? 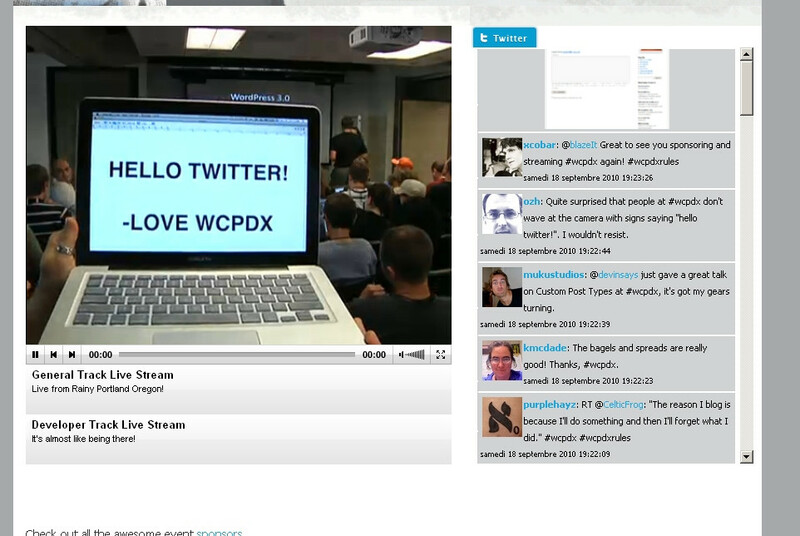 Quite surprised that people at #wcpdx don’t wave at the camera with signs saying “hello twitter!”. I wouldn’t resist. Powered by WordPress with Ozh' Tweet Archiver. and Ozh' Tweet Archive Theme. 28 queries in 1.44 seconds.